Spring Weekends are Guest Appreciation Days! The weekends in late May and early June are a great time to plan your visit. The park is less crowded and there is still plenty to do. As a bonus, a visit during the spring season means discounted admission for all! These admission rates are discounted $5 from our general admission rate. No additional discounts are available during Spring Weekends. Your admission includes parking, stroller use, the Elfabet game and prize, blacksmith ring, rides, shows, visits with Santa and his reindeer, our water park, and other attractions. 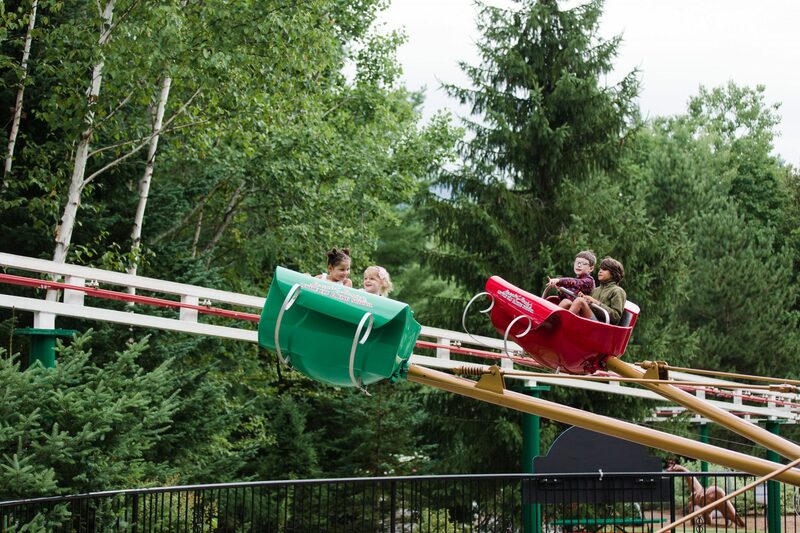 Spring weekends begin Saturday, May 25, 2019 and continue weekends only through Sunday, June 9, 2019. Our hours on these dates are 9:30am to 5pm. You should dress comfortably for a day at an amusement park. Most rides require a t-shirt and shoes. We recommend bringing layers with you to the park as temperatures can vary during the day. In the event of a spring shower, we offer complimentary rain ponchos in many of our gift shops. You’re welcome to purchase tickets in advance for your visit, but it is not required. Tickets are sold until one hour prior to park closing. Should you choose to purchase your tickets in advance for these dates, please select Guest Appreciation when placing your order.